The Police Patrol Boat, Nafanua, will soon be replaced. The Australian government will help the government of Samoa deliver a replacement boat in May 2020. That was one of the issues discussed during the Security Partnership talks between Samoa and Australia held in Apia this week. 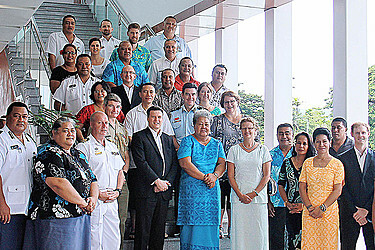 Hosted by the government of Samoa, officials from the Department of Foreign Affairs and Trade, Defence and the Australian Federal Police travelled here for the meeting. They met with officials from several Samoan government Ministries led by the Ministry of Foreign Affairs and Trade. “The meeting discussed a new patrol boat to replace the existing Nafanua, scheduled to be delivered around May 2020,” a statement from meeting said. “The replacement vessel will be more fuel-efficient, with significantly more capability for a range of operations, including maritime security and responding to disasters. The officials also discussed a range of matters of mutual importance to the two countries including bilateral and regional security and defence co-operation, police co-operation and cyber-security. “Officials noted that our two countries have a good, long track record of working closely together to address security challenges. “The important contribution that the Pacific Patrol Boat Program has made to Samoa’s security as well as search and rescue capabilities was highlighted. “The meeting also reflected on the positive contribution of the Pacific Transnational Crime Coordination Centre (P.T.C.C.C.) and the Samoa Australia Police Partnership (S.A.P.P.) 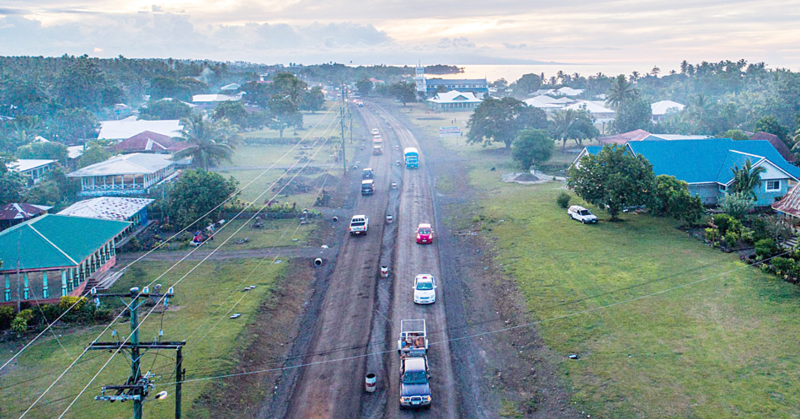 in ensuring a secure and prosperous Samoa. At the end of the meeting, Prime Minister and Minister of Police, Tuilaepa Sa’ilele Malielegaoi, and Australia’s High Commissioner, Sue Langford, signed a partnership arrangement on the Australian Government’s continued support to the P.T.C.C.C. and the S.A.P.P. for the next five years.